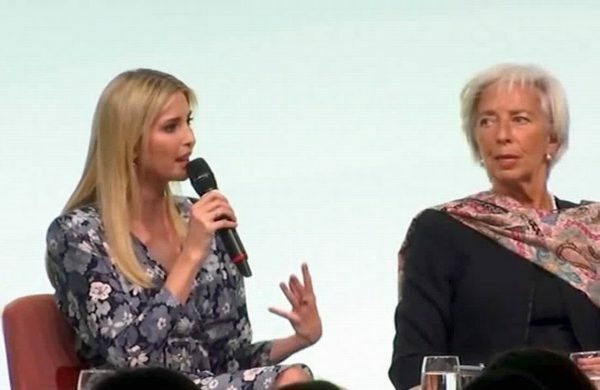 In an exclusive interview with this reporter today, Ivanka Trump Kushner confided that she was “hurt and confused” by her treatment at the W20 Summit on female empowerment in Berlin. “I was shocked that the audience booed and hissed when I related that my father is a ‘tremendous champion’ of women’s rights,” she said. She was particularly offended by those who questioned her right to be on the same stage as Angela Merkel and Christine Lagarde, the director of the International Monetary Fund. “I am also a woman with political power and experience; after all, I’ve had an office in daddy’s White House for more than 100 days!” she exclaimed.